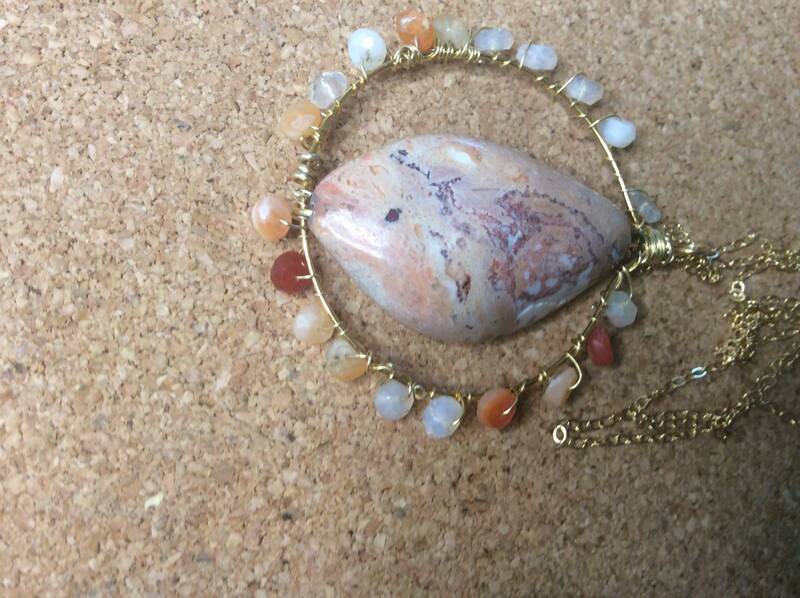 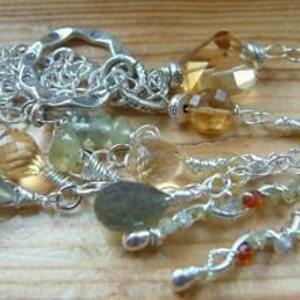 Made with one large rare Mexican cantera fire opal gemstone in the middle approx one and a half inches long. 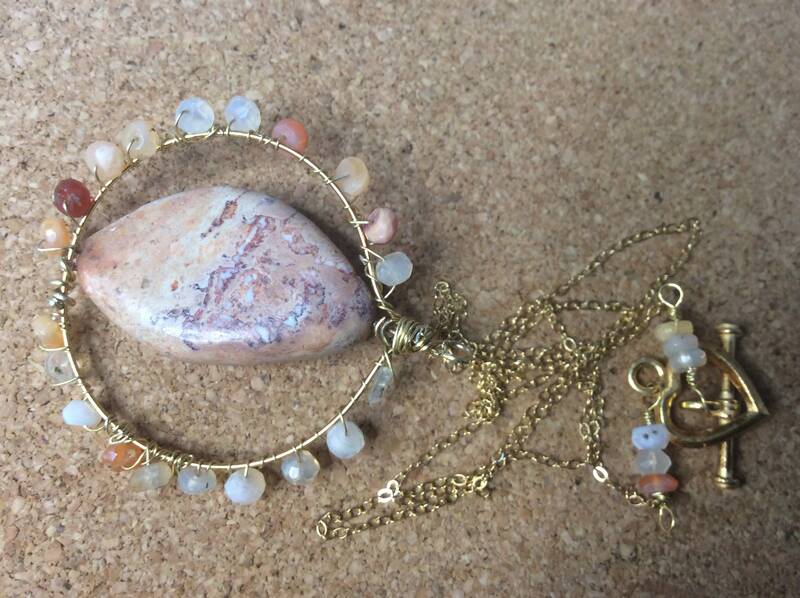 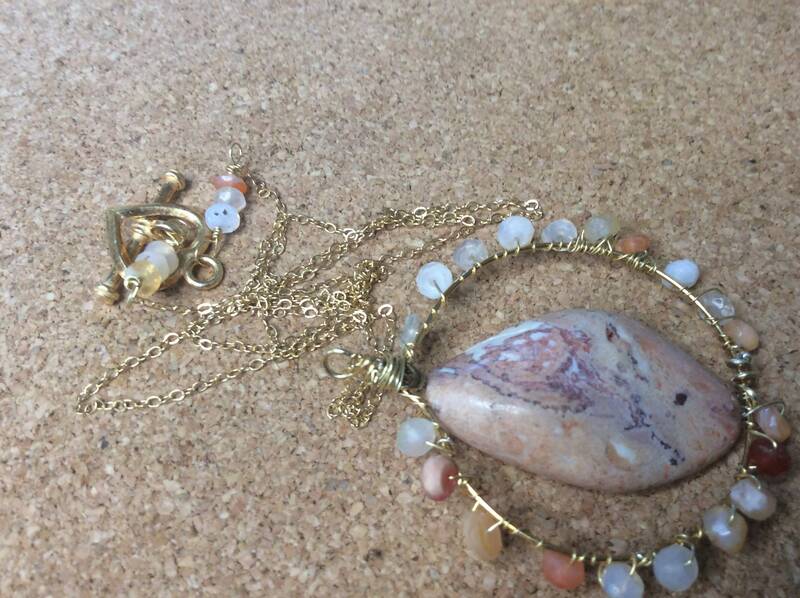 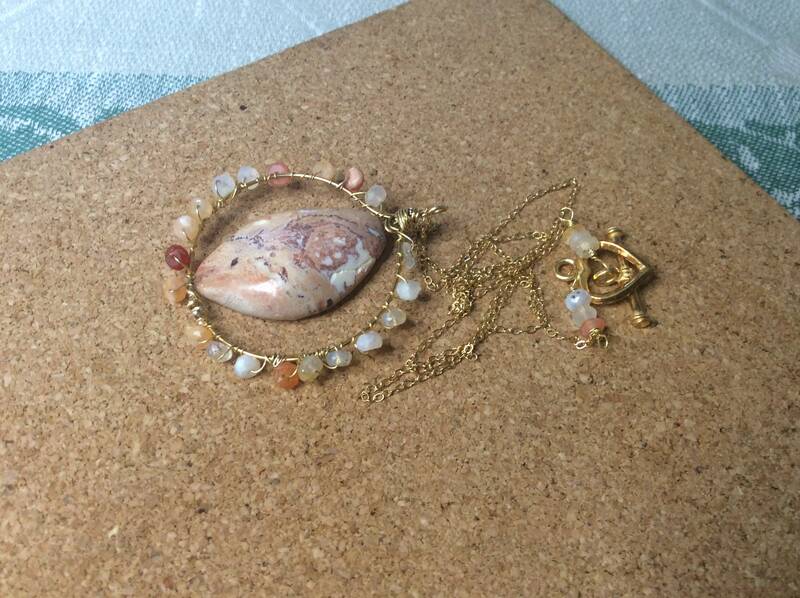 Around it there is a gold circle with Mexican fore opal faceted briolettes approx 3 to 5 mm in size, all shades, ombré. 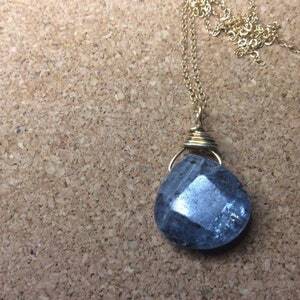 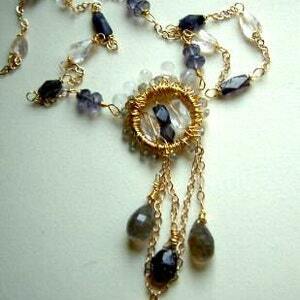 wire wrapped around it with gold vermeil wire.